It was a flu season like no other. With fears of contracting the H1N1 virus running rampant throughout the country, people lined up in droves to try an attain one of the coveted vaccines. What was not known, was the effect this largely untested, rushed to market, inoculation was to have on the unsuspecting throngs. Within days, feverish folk throughout the country, convulsed, collapsed and died, only to be re-born. 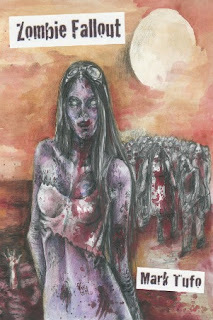 With a taste for brains, blood and bodies, these modern day zombies scoured the lands for their next meal. Overnight the country became a killing ground for the hordes of zombies that ravaged the land. This is the story of Michael Talbot, his family and his friends. This is their story a band of ordinary people just trying to get by in these extra-ordinary times. When disaster strikes, Mike a self-proclaimed survivalist, does his best to ensure the safety and security of those he cares for. Book 1 - Of the Zombie Fall-Out Trilogy, follows our lead character in his self-deprecating, sarcastic best. What he encounters along the way leads him down a long dark road always skirting on the edge of insanity. Can he keep his family safe? Can he discover the secret behind Tommy's powers? Can he save anyone from the zombie Queen? - A zombie that seems by all accounts to have some sort of hold over the zombies and Mike himself. Encircled in a seemingly safe haven called Little Turtle, Mike and his family together with the remnants of a tattered community while not fighting each other, fight against a relentless, ruthless, unstoppable force. This last bastion of civilization has made its final stand. God help them all. This story picks up exactly where book one left off. The Talbot family is evacuating their home amidst a zombie apocalypse. Mankind is on the edge of extinction as a new dominant, mindless opponent scours in search of food, which happens to be non-infected humans. In these pages are the journal entries of Michael Talbot, his wife Tracy, their kids Nicole, Justin and Travis. With them are Brendon, Nicole's Fiancee and Tommy previously a Wal-Mart door greeter who may be more than he seems. Together they struggle against a ruthless, relentless enemy that has singled them out above all others. Zombie Fallout 3: The End. Continues Michael Talbot's quest to be rid of the evil named Eliza that hunts him and his family across the country. As the world spirals even further down into the abyss of apocalypse one man struggles to keep those around him safe. Side by side Michael stands with his wife, their children, his friends and the wonder Bulldog along with the Wal-Mart greeter Tommy who is infinitely more than he appears and whether he is leading them to salvation or death is only a measure of degrees. Amazon’s bestselling horror author Mark Tufo will be wishing ebook readers a Happy Holiday season with a free copy of his Zombie Fallout novel from 12/24/2011 to 12/31/2011. Zombie Fallout has been on Amazons top 100 in horror since its release. It is followed up with Zombie Fallout 2: A Plague Upon Your Family, Zombie Fallout 3: The End and Zombie Fallout 4: The End Has Come and Gone, which are all on the top 100 in horror list. All of Marks books are available on Amazon, Barnes and Noble, Apple, Sony, Kobo and Diesel. 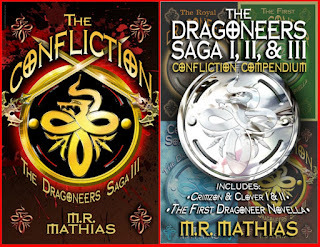 M. R. Mathias is proud to announce the official release date of The Confliction – The Dragoneer Saga Book III –AND– Confliction Compendium, an omnibus edition of the full Confliction cycle of books that will be an Amazon Kindle exclusive, and free to borrow from the Amazon lending library for members of Amazon Prime on December 23rd. The Confliction will be released in paperback just before Christmas. The eBook version is already available at your favorite eBook store, as are all of the other bestselling Dragoneer Saga books. Confliction Compendium including The First Dragoneer, The Royal Dragoneers, Cold Hearted Son of a Witch, and The Confliction, as well as the first two Crimzon & Clover short stories, will be available for free borrowing and for purchase at Amazon the week before Christmas. 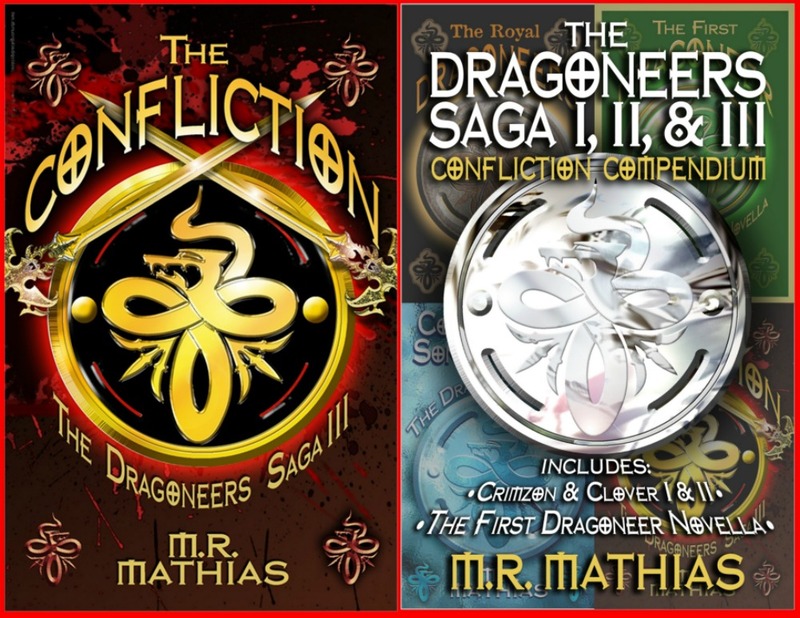 The Confliction - Dragoneer Saga III is the thrilling conclusion to the full Confliction cycle of Dragoneer Saga books. In this episode, The Dragoneers face the Sarax that were loosed in Book II - Cold Hearted Son of a Witch, as well as the rogue Druids of Dou, and something else that no one, not even the remaining Hazeltine Witches, expect. Wild aerial antics, powerful magical attacks, a bit of love/romance, and a final conflict that ends in a breathtaking climax are just some of the thrills that await readers in this installment of the international bestselling Dragoneer Saga. Don't blink your eyes, watch your back, and no matter what you do: HOLD ON TO YOUR DRAGON! Looking for a young adult urban fantasy with enough adventure, romance, and page-turning excitement to keep even the most easily distracted teen captivated? Then look no further than Memory’s Wake by Selina Fenech. Imagine being dropped into a strange world with nothing more than the clothes on your back. From the opening pages, this is our heroine’s reality as she finds herself in a land called Avall. Her body is bruised, she is confused about how she got there, and she cannot remember anything about her life, not even her own name. She meets a beautiful yet timid human named Eloryn who has the ability to cast magic spells. Eloryn’s unauthorized use of magic has her on the run from the wizard hunters who will not rest until she is arrested. Despite her own predicament, Eloryn decides to help this lost girl with pink-streaked hair, piercings, and ripped jeans find her way home. First, Eloryn gives her the name Memory. Memory and Eloryn must learn to trust each other if they’re going to survive as there is no shortage of danger in Avall. The wizard hunters, fae, dragons, and even the King of Avall, all want a piece of Memory. Roen, the son of a Duke, joins the group after a failed attempt to steal from the girls. Roen fills the role of the handsome prince to Eloryn’s beautiful princess. 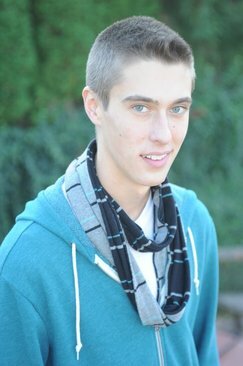 Playing the part of the mysterious stranger and love interest for Memory is Will. Fenech gives all four characters turns as the POV narrator to paint a clearer picture of who Memory is, and does a remarkable job of giving each character their own perspective and unique voice. Fenech keeps us guessing throughout. There is non-stop action and new perils to keep readers hooked. Fenech has a knack for setting up cliffhangers at the end of each chapter to make sure we can’t put down her debut offering. The setting is vibrantly described and the writing flows well; however, it’s the character development that sets Memory’s Wake apart. 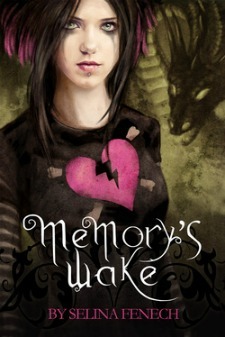 Memory is a strong yet flawed, believable heroine. Young readers will easily identify with the problems she faces. Born in 1981 to Australian and Maltese parents, Selina lives in Australia with her husband, her baby girl, an unnamed cat, and a lorikeet who’s far too clever. During her life Selina has found ancient Roman treasure, survived cancer, had knights joust at her wedding, been mugged for doughnuts, made a living as a visual artist, and shared her imaginary worlds in paintings and now in her novels. 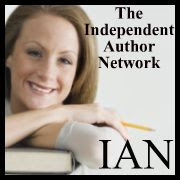 I am a self published, or indie author from the UK with twelve titles available as Kindle or e-book editions for around $2 each. Most of these stories are between five and ten years old, and have been edited constantly, so the latest Kindle and e-book editions differ slightly from the original drafts that are still available to read on my website. Ten of my books are also published and available as trade paperbacks. Although I started writing in earnest over ten years ago, my earliest paperback edition on Amazon was published in 2005. I was born in Manchester in the North West of England in 1957. Although I have moved around a bit, Manchester is still both my physical and spiritual home. I am married to my wife Rosanna, and have been now for over twenty years. I have an imagination that began when I was very young and never waned. I also like reading and so it was no surprise I suppose when I started writing. IAN. Please tell us about your writing. DGR. I write Science-Fiction, Fantasy and Romance. I like to mix my genres and I also feature female characters very prominently in all of my stories, many of them in strong and attractive leading roles. The reason for this is that I like writing about women. It gives my stories a female bias, but I think they are better for it. So expect Romance and Fantasy in my Science-Fiction with a multitude of leading ladies. It’s just the way I am. I also like every character, even the monsters and villains, to have a realistic reason for being and doing what they do. Three of my Science-Fiction Fantasy books have a related 'universe' or can be considered a 'story arc,' in that they are set on the same planet called Ellerkan. The Lost Girls, The Return of the Sixpack and The Tale of the Comet all feature characters at different points in their lives and at different generations. Although there are common elements and some things are only fully understood if you have read them all, any one of them can be read independently without any loss. That can’t be said for the four part Friendly Ambassador series of books that introduces the Androktones, or Destroyers. These four books can be considered to be a prequel or back story to the three books set on Ellerkan, but the story arc is totally different. The Friendly Ambassador blends Greek Myth with traditional Science-Fiction, and of course the stories are in four chronological parts that are meant to be read that way. The Friendly Ambassador was too big to self-publish in one paperback at the time (over 1300 pages), so the split wasn’t my original choice. I guess that’s life. I do hope to re-combine them into one volume in the future. My Romance books are, well, romantic. An Affair of the Heart and The Look of Love are mainly Contemporary Romance, but some are mixed with Suspense, such as Mind Games, or Science-Fiction, such as The Dreamer. And A Fine Woman is set in the South of France during and in the aftermath of WWII. Because I am in the UK, my Contemporary Romances are set in my home city of Manchester. I must get something right with my Romance novels as one of them is my most successful book so far. IAN. How long does it take you to write a book? DGR. This is a piece of string question. It can take me anything from a few months to a few years. Obviously long books take longer to write than short books, but the writing process is dictated by how much I know the story and plot development beforehand. As I mention below, the more developed the story is in my head, the quicker I can write it. But I don’t always write continuously either. I have been known to take very long writing breaks between books, or even during a book. IAN. What inspired you to write? DGR. I started writing because I loved to read. I also loved to play stories when I was young, with a room full of soldiers and figures who I would invent characters for. I read Gone with the Wind when I was still a kid, and practically all the classic Science-Fiction authors you could find. I love space, I love adventure, I love all those classic TV series, I love women, I love Romance, and I love women in stories. As a result women feature strongly in my stories. I suppose that goes back to Gone with the Wind. Blame it on Scarlet. Anyway, I write because, like many others have said, the stories are in my head. It’s a subconscious thing that forces it out whether you want it to or not. It’s in my blood and in my soul, it’s what makes me me. To stop thinking, to stop my imagination, is to stop being me. IAN. Talk about the writing process. Do you write at night or in the morning? DGR. When I write I tend to do it in the afternoon until well into the early hours. But it depends on when the urge takes me. Real life dictates when I write, and it also dictates when I can think about my writing, mulling it all over in my head, so I write less these days than I used to. That also might be related to my mind unloading many of the stored ideas I needed to get down on paper. I also write because I enjoy it, like a hobby. So if it becomes a chore, I stop. DGR. I tend to mull over an idea in my head for ages before I write. Often the overall story and plot will be clear in my mind even before I start. Having said that, none of the individual details or even all of the characters will be apparent at that stage, that comes later, and nothing will be written down. Once I have the general idea in my head I can start writing quite quickly and the characters that I populate the story with begin to contribute to the plot itself. If real life interferes with that mulling over process then I tend to write less or more slowly. IAN. How are your books different from others in your genre? DGR. I suppose the answer to this question is that I wrote them! But on a more serious note, I would like to think that The Friendly Ambassador is a little different. This four part story mixes Greek Myth with traditional Science-Fiction, taking a different approach to the legend of Atlantis, the origination of the Amazons, and the true nature of mythical creatures such as the Cyclops and Centaurs as aliens from other worlds. In general I like to write both Science-Fiction and Fantasy with a more realistic basis. So I need to have a realistic and logical reason for why my dragons exist. But as I like to include some Fantasy elements in my stories, and I don’t regard my Science-Fiction writing as being either hard or soft Science-Fiction, some things are still left deliberately unanswered. With regard to my Romance stories, well, romance is part of life, and by nature it is people focused. I like to explore relationships and so I like to include Romance in all my stories. It is often the interaction and relationships between the characters that dictate the flow of the story. Does that make all my stories character driven? Maybe. But although characters can often dictate events, they also have to react to other events that overtake them. IAN. Are your books published in print, e-book or both? DGR. The answer is both. I like to publish in print whenever I can. I think that is because, like most people, I grew up with real paperbacks or hardbacks to read, and if you dream of publishing a book, you need to see and feel it in your hands to fulfill that dream. That I should also publish e-books is a modern practicality. As a self-published author it is essential to use digital publishing as this levels the playing field with the mainstream traditional publishers. It is also difficult to get paperbacks on bookshelves in brick and mortar stores, and pricing can also be an issue. I see digital publishing as the future. IAN. What do you hope your readers come away with after reading your books? DGR. First of all I want my readers to enjoy my books for what they are, fiction for entertainment. I don’t want to preach or have a hidden morality to bring out. But I do want my readers to believe and feel for the characters in my books. I want them to be engaged with them and to care about what happens to them. I hope I write well enough to do that. So even in my science-fiction stories where there are many visual action sequences, it is still the relationships between the principal characters and their understanding of each other that is the main focus of my writing. And that includes the aliens and villains. If I have any message in my writing it is that nobody is really an out and out villain, or at least not often. All my characters have different viewpoints and agendas, there are no blind killers, and the borders between the good guys and the bad guys are deliberately blurred. Real life is like that, after all. IAN. Where can we go to buy your books? DGR. All my books are available on Amazon, Barnes and Nobel and Google. 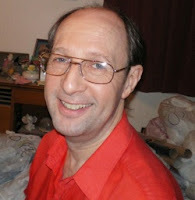 I am also looking into publishing via Smashwords to Nook, Sony and various other handheld devices. IAN. Tell us about your next book or a work in progress. Is it a sequel or a stand alone? DG. The book I am working on at the moment is another Science-Fiction Fantasy story set on Ellerkan. Although it belongs to that same overall universe, it is a standalone story that fits at the very end of the story arc so to speak, and so it features all new characters. I am about 30,000 words in, but I am taking my time and the current draft is the fourth edit. IAN. Any other links or info you'd like to share? And finally there is always my website at http://www.booksandstories.com. Published by Booksandstories.com via BookSurge, 2008. The farm wasn’t new. It had been established on the outskirts of Jasanta for over fifteen years. It was further out than the other farms, beyond the main areas of cultivation and closer to the edge of the forest. There were other farms nearby, but none this close to the forest. It hadn’t mattered at the time and the land was unclaimed and had been fallow for a generation. The farmer and his wife had toiled hard, but progress came with the toil and the years. There were now three fields filled with wheat that grew waist high. The spacious farmhouse was supported by a large barn and two more outhouses. The farm was now the home of a family, with children, a dog, and horses in the barn. And every morning men from Jasanta would journey out to work on the farm that was now too much for a man and his young son. In this it was the same as any other farm. But there was a difference with this farm. There was a reason why land this close to the forest remained fallow and unclaimed. It was a reason that many in Jasanta had forgotten or no longer worried about. The land was crossed by a path. It was an unmarked path or trail that stretched from the mountains in the east, across the fields of Halafalon and deep into the forest. It was an ancient path and not often used. And because it was unmarked on any map, it was not remembered. On any day in any year, and for nearly a generation, none of that had mattered. One by one, the Androktones heading towards the forest for the coming of the ship had met on the path they always trod from their dens. At first there were only one or two, but as they neared the edge of the forest their numbers slowly increased, and by the time they neared the forest on this warm summer night, nearly all of them had gathered together. As they met they had talked and greeted one another like sisters and spoken of the deeds and events that had passed since their last meeting. There was joy at the sight of others not seen for many years, and sadness for those who had not returned. Some walked arm in arm, and many talked while others just nodded. There was no sign of animosity, only anticipation as they walked slowly and casually towards the forest. Then they came to the farm. It sprawled across their path where none had been there before. The lights twinkled in the windows of the farmhouse and it reeked of the incorrect. The character of the Androktones changed instantly; their expressions hardened, and they fanned out. On a warm summer night a farmhouse burned. Figures ran from the house to the barn and other buildings, their figures silhouetted against the flames. Each carried a flash of silver. For a short time the farmer and his son had fought to defend their land and their lives, but it had been a short resistance. All had been butchered, even the dog. But one still lived. Chen-Soo ran into the barn, her bloodstained sword in her hands. There were two horses in a stall on the far side. They were already beginning to panic as smoke swirled around. Sparks from the roof of the burning farmhouse had drifted to the barn roof. It was already on fire and the crackle of the flames could be heard. But the smoke couldn’t disguise the stink that had brought her here. The incorrect one is here! Do not let it escape! Find it! Find it and kill it! Chen-Soo moved forward purposefully, her sword held in both hands. She kept it raised before her, ready to strike or defend. Her eyes darted from side to side, searching, scanning. But it was her nose that found the object of her search. She stopped and her eyes darted to a box resting against the far wall, just next to the stalls. Straw was heaped around it, but there was none on top. The disgusting one is inside! Kill it! Kill it! Kill it! Silently, Chen-Soo moved quickly towards the box. As she came closer she saw that it was an old chest, probably one that was used to bring clothes and other belongings. It was old and battered. Sparks and burning embers began to fall from the roof as the flames took hold. The horses began to prance and rear, kicking at the wooden stalls that hemmed them in. One broke free and bolted for the barn door. As it galloped away behind her, Chen-Soo shifted her sword to one hand, holding it point downward like a long dagger as she stood over the chest. Bracing herself she reached down with her other hand and threw open the chest lid. The young girl screamed a high-pitched scream and cowered down, holding her hands over her face. Chen-Soo froze, her sword still held poised to strike. Why do you hold back? Kill it! Kill the abomination! Stab it! Stab it now! You always dwell on this dream! She is not you! She is not one of your siblings! Nor is she your seed! She is incorrect! Vile! Disgusting! She must die like the others! Kill her! I don’t want to. I can’t. Can’t? Won’t? Where were these feelings when the man and the woman fell to our swords? You did not hang back as the others struck! Your sword bit the incorrect as theirs did! You followed the Purpose then, but now you deny it! I don’t follow the Purpose! I kill when I decide! You are mutated! Disgusting! You should die as the incorrect must die! I decide! Now shut up or I will cut you off! Chen-Soo slammed the lid down on the chest and turned away. As she turned she swung her sword and brought it down on the wooden gate that trapped the remaining horse. The wood splintered and the horse burst out and gleefully galloped for freedom. As it shot out the door, another figure appeared. The straw was catching fire in one corner and some of the beams that supported the roof were now burning. Smoke was everywhere and getting thicker. Hai-Fam ignored it all as she stared at Chen-Soo. Her expression was filled with anger. Now you will die for your hesitation! She will know where the small one hides! Chen-Soo lowered her sword and waited. Hai-Fam’s eyes darted to the chest near the wall and her anger increased. She immediately strode forward and held her sword dagger-fashion as Chen-Soo had done before. But she didn’t hesitate when she reached the chest. She threw open the lid and stabbed down in a sudden frenzy. Then she stopped and stared. Chen-Soo stepped forward and looked in the chest. In early 2009, after a few months of writing, Lori decided to tweak one chapter from the novel-in-progress and enter it as a short story in the 78th Annual Writer’s Digest Writing Competition, where she was awarded Honorable Mention in the Mainstream/Literary Short Story category. This recognition encouraged Lori to pursue her true dream to become a writer. Two years later, she completed three novels in the Emi Lost & Found series. 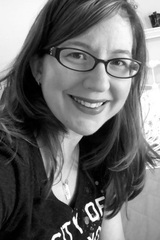 Anxious to deliver her stories to the world, she decided to self publish all three books in spring of 2011. LO. 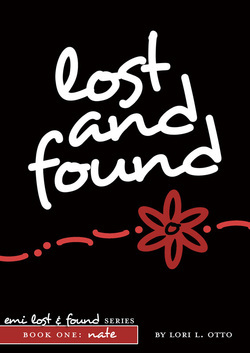 Originally, the three books in the Emi Lost & Found series were going to be one book. When the stories of Nate, Emi and Jack simply couldn't be confined to the pages of one novel, I decided to break the book up into three smaller (but still quite large) novels. Lost and Found (book one): When artist Nate Wilson falls in love, he falls hard. The problem is, he’s only been in love once, and the girl of his affections is his best friend, Emi Hennigan. In high school, the two bonded over painful breakups, and swore off a relationship to save their friendship. Thirteen years later, Nate has had more than his share of emotionally-unfulfilling, sexual relationships with beautiful women to distract himself from his true romantic feelings. When a once-in-a-lifetime opportunity takes Nate away from his friend and his comfortable lifestyle, he is forced to reflect on the distinct void that Emi’s absence leaves in his life. To Nate’s surprise, Emi has a similar experience; but as the friends embark upon their journey toward happiness together, destiny reveals other plans for Emi. Time Stands Still (book two): Depression threatens all the relationships in Emi Hennigan’s life after a near death experience leaves her injured and feeling alone in a world she barely recognizes. On a night that is supposed to signify a new beginning in her life, she loses everything she loves. It’s on that very same night, though, that Emi has a chance meeting with a man from her past who has the power to bring her more happiness than she’s ever known. Jack Holland is on a mission to rescue Emi from the pain that’s been consuming her, but his patience is tested as Emi holds on to the memory of the only man she’s ever truly loved. Never Look Back (book three): Jack Holland finally has everything a man could want. After a lengthy courtship that has required persistence and self-restraint, Emi Hennigan– the woman Jack has been fantasizing about since college– has fallen in love with him. Together, the couple sets out to create their own happily-ever-after. It’s only when Emi delivers some unwelcome news that Jack begins to question everything about the woman he loves. It will take a considerable amount of understanding and sacrifice for Jack to accept the future Emi can offer him– a future he never imagined for himself. IAN. How long did it take to write the books? LO. It took about two and a half years to write all three books in the Emi Lost & Found series. IAN. What inspired you to write the books? LO. I read another popular series and I felt like I could do a better job at writing a love story that was realistic, relatable and romantic. LO. I write whenever I can. Over the past few years, I've had crazy work hours, with shifts starting as early as 7am and going until midnight. I try to carve out a little time every day to write and/or brainstorm. On my days off, I like to start my day with a muffin at a local cafe and a few hundred words. LO. For the Emi Lost & Found series, I had a detailed outline that I stuck to for the first draft. When that was complete, I filled in plot holes and wrote some new scenes to better develop the characters. The process has become more fluid, though. With the series I'm working on now, I have a general idea of the beginning and end and a few high/low points along the way, but the characters have derailed me plenty of times. LO. Well… they're different in that they really don't have a genre. Are the books romantic dramas or dramatic romances? The books were meant to be women's fiction, but some of the more adult situations make them encroach on the romance genre a bit… but I wouldn't consider them true romance novels. They're simply romantic fiction. IAN. Is your book published in print, e-book or both? LO. It's published in print by CreateSpace, and in ebook format pretty much everywhere ebooks are sold. LO. I want the readers to have an emotional connection to the characters. I want readers to care about them at the end of the day. I want them to see these people as friends. LO. I'm working on four other books right now. Three of them are somewhat of a sequel to the Emi Lost & Found series. The second series follows a character the reader meets in the first series, and sort of mirrors the same format as Emi Lost & Found. The fourth book is my 2011 NaNoWriMo novel. It will be more of a young adult, coming of age story. I've been winging this one, but I really am pleased with the progress. I will probably continue writing this novel until it's finished, and then go back to the second series. Nine years is a long time to hold on to a feeling– one that I felt for only ten seconds of my life. Logically, I know it was twenty seconds at most, but the impact it left made it seem like forever. If I allow myself to think about that night– and I never do– I can remember how the air in my lungs felt completely effervescent, how my chest tightened around my racing heart, how my skin seemed to feel everything around me. Hands. Lips. A cool, fall breeze. I even thought I could feel the stars sparkling above, prickly and scintillating in their luminescence. Nine years is a long time, but with a feeling like that, I doubt I’ll ever let it go completely. It’s a shame I don’t have a good sense of what actually caused that feeling, but my imagination has filled in the blanks left by the drunken oblivion of that night. I chose stupid ways to rebel in college. Of course, drinking was the norm for most students at school, but my actions back then lingered more toward self-centered and inconsiderate. Had I known I’d see Nate at any time that evening, I never would have consumed as much as I had. To this day, I mostly drink in moderation when we’re around one another. A better friend may give up drinking entirely, but even he has a little alcohol every now and then. And he doesn’t have any friends better than me, nor do I have any that rank above him. Does it make any sense at all to continue to search for that feeling? I shrug my shoulders as if I’m answering my own question, having my own conversation with myself. Whether it makes sense or not, I’m on a mission to find it again someday, with someone. I just hope that my pursuit doesn’t keep me from seeing things in the periphery. From seeing that what I’m looking for is actually right in front of me. “Well?” he asks, my eyes focusing on what I would call a blouse on any day. It almost doesn’t compute. Men don’t wear blouses. Nate does not wear blouses. “You’re not wearing that.” I can’t contain my laugh. “What?” he asks, lingering in the doorway to his bathroom. “That... that... is it a shirt?” I ask, cringing at the light pink button down with... are those ruffles? I take a few steps closer to confirm the strange quarter-inch of fabric peeking out from under the center hem. “Yes, it’s a shirt,” Nate argues, his voice not as confident as it was only seconds before. “Wait, your personal shopper. Is she a jilted lover?” I ask him. “She wasn’t at the time,” he confesses as he takes a long, hard look at himself in the mirror. “Damn it, Emi,” he says, frustrated, practically tearing the monstrosity of a shirt off of his body. “I don’t have time for this.” He walks quickly back to his closet and takes a look inside, stretching his back subtly. I hate it when he walks around without his shirt, and decide to tell him so. “I hate it when you walk around without your shirt on. It... bothers me.” And yet, I can’t tear my eyes away. He takes it from me and walks back into the bathroom. “You need a belt, too,” I remind him, catching a glimpse of the waistband of his light blue boxers underneath his loose-fitting jeans. “And you’ll probably want to wear an undershirt with that,” I yell to him. “What else, Mom?” he teases me, crossing the room to his dresser and pulling out a thin, white t-shirt. “And I’m not wearing jeans, don’t worry. I’m wearing that.” He points to a hanger holding a pair of black pants and a matching jacket. “David,” I remind him for the twentieth time, watching him pull on the tight undershirt as he goes back into the bathroom. Justin Dennis is currently attending Whittier College and majoring in Creative Writing. He was born on February 14, 1993 in Virginia but was raised for most of his life just outside of Seattle in a city called Sammamish. He grew up playing soccer and absolutely loves the sport, but reading and writing also top the list of his favorite hobbies. 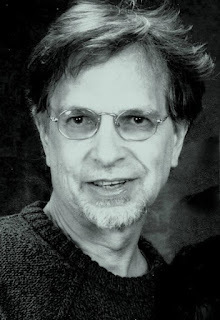 He has always seen fantasy stories as a powerful way of portraying real world issues, and hopes to provoke thought and inspire good morals through his writing. IAN. Please tell us about your latest book. J.D. My latest book, Through the Portal, is a fantasy in which the main characters—Jem, Oliver, and Sierra—explore a fantastical new world called Callisto. In this world, magic is possible but is heavily suppressed by the evil Veroci Regime. There is also a legend about the Red Dragon which dwells deep within the cave. 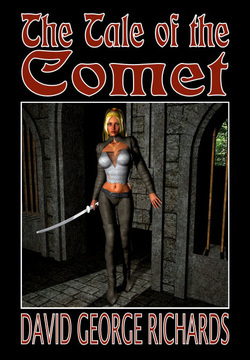 On their quest across Callisto, the heroes are hunted by the Dragon and by the Regime, although they don’t understand the connection between all of it. Something much more sinister is at work though, something that will lead them across all six regions of the world and force them to confront all their worst fears. IAN. How long did it take to write Through the Portal? JD. About a year. I began in September 2010 (although I’d been keeping notes of ideas for a novel for months before that) and published at the end of August 2011. All the writing took me about 9 months, and then editing, revising, and writing about 3. The crazy thing is that this actually started out as my senior project in high school. I’d always wanted to write a novel, and I’d given a few weak attempts at some stories, but never really committed to a book. When I had to decide on something for my year-long project… I figured a novel would be perfect! So really I have my high school to thank, because without the senior project I may have never found the time/dedication to write out my novel. It became so much more than a senior project though; I lost track of the hours I spent on it, and even after I passed I put in countless, countless hours on it. I really do love this series, and I’m glad I had the opportunity to get it all out on paper. IAN. What inspired you to write the book? I knew though that I wanted my book to take place in a completely made-up world, because I wanted to opportunity to design creatures and develop rules for society and so on. Like the roxnoar. Think of a bear with an exoskeleton. The outer spine runs down its back and forms a spikey tail, with sharp bones extending down its arms and out into claws. Ferocious, right? That’s only one of the many things I had a really fun time creating and naming for my book. So I guess it was also my drive to create and imagine new and fantastical things that inspired me to write. JD. Morning writing has never worked out for me. I’ve tried, really! But I just can’t. I’m too sleepy; I can’t focus. For some reason though, I’m generally wide awake in the middle of the night and can pump out some of my best writing. I don’t really understand why I’m semi-nocturnal. JD. Definite outline. Since my book is the first in a trilogy, I wanted a clear plan of where I was going to go and what was going to happen at what point. So it began as get from point A to point B. Then I added point C, then D, then F… I think I went through the entire alphabet about 836 times, and eventually my plot had grown into a complex, wonderful tale with all these characters I cared so much about. I have noticed though that my outline changed drastically as I went along. 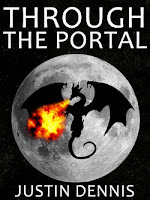 For Through the Portal, I probably rewrote the outline as I went through it at least 4 or 5 times, not including all the edits I made to those 4 or 5 rewrites. It’s just that right when you think you know where you’re going with a story, you start to write it and realize that that’s not right at all. What looks good in an outline, as pieces to a puzzle, doesn’t always match up perfectly in character dialogue and story progression. So while there was an outline, it was constantly changing. IAN. How is Through the Portal different from others in your genre? JD. The thing that always catches people with my book is the, “Oh, just another made-up fantasy world?” But it’s so much more than that. There’s a real connection between Earth and Callisto (the world they travel to) and Kelados (a world that is hinted at in Through the Portal but which becomes more important in book two). It brings together these worlds in a way that has never been done before. Not to mention the magic is different. I always thought it was strange that magic could only be used through wands. (Sorry Rowling! I still love Harry Potter!) I mean, real magic would be accessible at any time, right? And it would require a fair bit of energy? So that’s what I started with. In Callisto, magic requires energy unless you conjure sylph, a flexible semi-physical-liquid blob that is controlled telepathically and can do almost anything the conjurer’s desires. Imagine the possibilities! Many Callistonians use it to drive their quads (cars) with minimal energy by wrapping it around the wheels. And finally, the division of Callisto is unique. There are six regions, and each region seems to think they are the best. There is a lot of hatred between regions, and the Argonians (Argo is the first region Jem and Oliver visit) even deny the existence of the other regions. A main theme I try to portray through my book is acceptance, and the six regions of Callisto offer a starting reality of how confrontational and non-accepting our own world really is. IAN. Is Through the Portal published in print, e-book or both? JD. Currently it is offered in e-book, but the print version will be ready for order on December 13, 2011. I’m very excited to be having the print edition released! JD. I hope they can see that it is important to help people in this world. One of my favorite characters is Oliver, because even though he is so much unlike me, he is a very gentle-hearted person and always has to help shy kid, or the one being picked on. I hope people can learn from Oliver and be accepting and helpful too, because being apathetic to a bad situation is just like contributing to it. IAN. Do you incorporate anything from your real life into your writing? JD. In Through the Portal, much of it is simply a product of my mind, but parts of course are drawn from my experiences. Jem is like me, an introvert, but other than that we aren’t very similar. His experiences with his parents and grandparents are nothing like mine. But the bickering between Oliver and his little brother, Jordan, are similar to how my brother and I argue, although I’m nothing like Oliver. Near the beginning of the story, the burning down of a building (can’t tell you which!) marks the start of the trio’s adventures across Callisto. This was inspired by my own house burning down when I was in the 8th grade. It was a reality check for me, just like it is for the heroes in Through the Portal. IAN. Where can we go to buy your book? If you can’t stand e-reading, I will have a print edition of my novel out by December, 13, 2011 available through Amazon, which should be linked to the Kindle edition mentioned above. In the meantime, stay connected with me on Twitter (@JustinDennis4) and I’ll let you know when it is released. JD. My next book is a sequel to Through the Portal, and is so far unnamed. I’m working diligently on it, but my writing time is scarce with all my schoolwork. I’m really excited about it though, because it takes all the unique aspects of Through the Portal and really steps up the action. Not to mention all the secrets from the first book that are revealed! Also, Through the Portal is told entirely from Jem’s point of view, and book two will be told from several different point of views, giving the reader their first look at the worlds of Callisto and Kelados through other eyes. “You must go into the cave to get home,” said Atychis plainly. Oliver turned to Sierra as if she would hold all the real answers, “Is there really a thing called the Veroci Regime that will kill us if they find out we aren’t from Argo?” he asked her. “So you must go home,” spat Atychis, turning and walking towards the cave entrance. “Follow me!” he yelled. “Lies!” came Atychis’ voice from inside the cave. With that, Oliver took off running into the cave. “Olive! Wait!” yelled Jem, who then took off after him. He didn’t really care if the Red Dragon killed Atychis, but if it killed Oliver… that wasn’t an option. Behind him, Jem faintly heard Sierra yelling at them to stop. But he wasn’t going to stop until Oliver was safely out of the cave. He ran deeper and deeper into the cave, until there was absolutely no light to see by. His bare feet were smacking against cold hard rock and he bumped into the walls a couple times, bruising his shoulders, but he just kept yelling for Oliver to come back. He wasn’t going to catch him though, and he was seriously wondering how Atychis had run so fast through the cave. Because deep inside it lays the Red Dragon who kills. It might not be too late. It has decided your fate.